This beautiful pendant by Thomas Sabo is a perfect fusion of timeless ornamentation and boho chic. 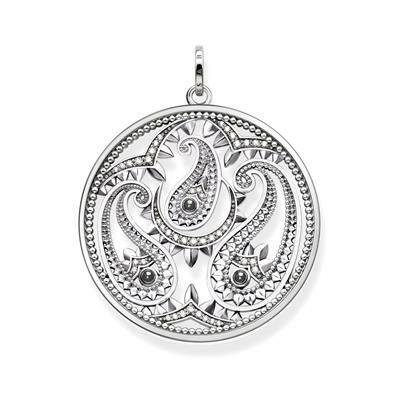 The filigree paisley disc is adorned with white Cubic Zirconia pave and black reconstructed Hematite, which creates a beautiful contrast. Wear on a simple chain for a versatile necklace.